It’s Halloween in Wyoming! There are LOTS of fun activities coming up — we have a growing list below that we’ll continue adding to as new info arises, so be sure to post on our Facebook page or email us at editor@wyolifestyle.com with any events that we’ve missed! Thanks to the people that contributed this info! WHEATLAND: The Younger Brothers Band is playing 10/28 — visit their website for details! 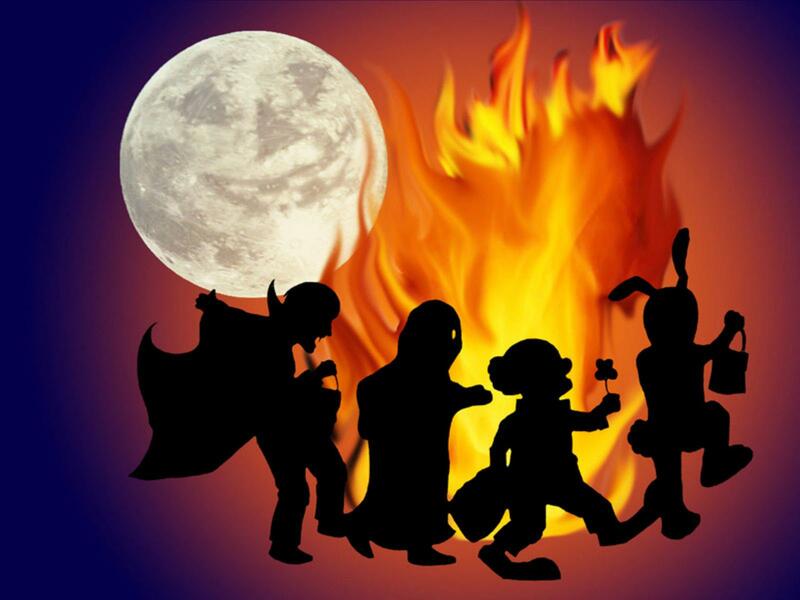 DUBOIS: Main Street Merchants are planning a Halloween Event for Dubois children, Monday, October 31st. The Spookytown Parade begins at 5 PM, with Carnival Games – Trick or Treat Goodies – dancing to Dave Raines’ Monster Mash Street Band and an old fashioned Hayride. Festivities are planned from 5 until 8 PM. Visit Dubois’ Main Street website! JEFFREY CITY: Costume Party at the Split Rock Bar and Cafe in Jeffrey City. Saturday night, 7PM – prizes for costumes in several categories, lots to eat, drink and be MERRY! SARATOGA: Downtown Saratoga/Halloween walk kids cam trick-or-treat at local retail shops… convenient and safe for all! Visit the Saratoga Chamber’s website! CHEYENNE: Haunted Ghost Tours on the Cheyenne Trolley on Oct. 28-30. Tours are at 6:00 and 7:30 pm each night. Tickets are going fast! CODY: If you’re in the CODY area here are some activities: Fri 10/28 party at the Rec Center; downtown trick or treat 4-6 on Halloween; Cody Church of the Nazarene is holding a Family Fall Festival on 10/31 6-8 PM — the Cody Chamber website has an AWESOME calendar! TORRINGTON & LINGLE: Ellis’ Harvest Home in Lingle offers a great deal of family fun. Corn maze, corn boxes, hay maze, giant spider web, tomatoe launcher, fresh produce, and of course lots of pumpkins. Call 575-2567 for more details. (By the way, if weather is good Ellis Harvest Home does the maze in the dark w/flashlights!) The Halloween Safety Treat Night happens on 10/31 from 5-6 in downtown Torrington for ‘ghouls & goblins under the age of 12’ 🙂 — accompanied by an adult of course! And the Elks Lodge is holding a haunted house from 10/29-10/31, 5-10 PM; $3 admission! Call 532-2547 for more info! The Goshen County Chamber has an AWESOME website! LANDER: The Asylum is happening in Lander, Wy, fri the 28th, sat. the 29th and sun. the 30th from 7- midnight. The location is 576 Main street and will kick off at 6:30pm at Ace Hardware for a Zombie Walk to the haunted house. (It’s only about a block but zombies are slow….) We will be showing scary movies in the lobby… $5.00 entry fee to The Asylum. GLENROCK: Halloween Costume Parade is Monday, Oct. 31, at 3:30pm. The parade lines up at the Deer Creek Drug and will parade in the down town area. The parade is for little kids through the 4th grade. If you would like to hand out goodies that would be great. Last year we had 40ish kids. Halloween Carnival at the Rec Center from- 4pm-6pm. Tickets are 25cents each and games cost 1-4 tickets. Visit the Glenrock Chamber on Facebook! Thanks for all the info! Send us what we’ve missed and we’ll add it! Post on our Facebook page or email editor@wyolifestyle.com — thanks!